When Susi Kenna and Mei Kawajiri decide to do nail art, they do a helluva lot more than determine which pink will go with their outfit. Kenna is the co-chair of the Junior Associates of MoMA while Kawajiri is a professional nail artist based in New York City, and the two have put their artsy heads together to come up with nail art history. 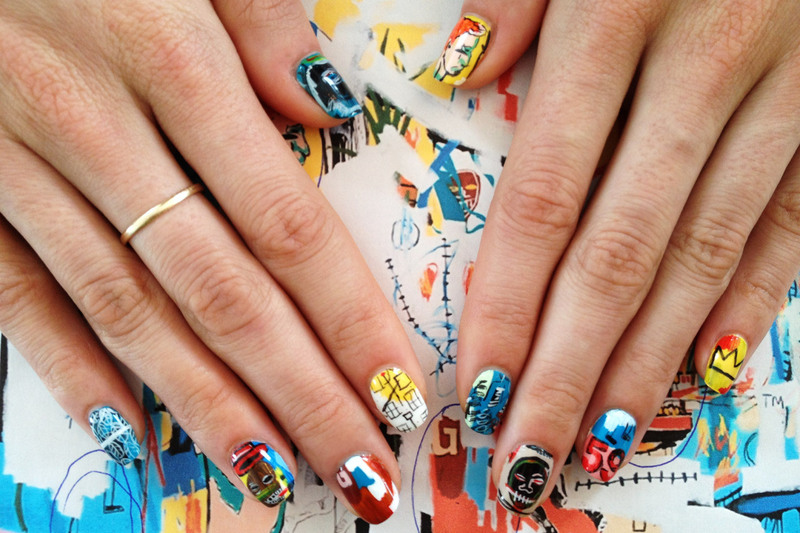 Her nail art is inspired by the works of Alma W. Thomas, Keith Haring, Josef Albers, the Memphis Group, Pablo Picasso, George Condo and more. See how her and Kawajiri’s pieces size up to the originals below. Lead image: Designed by Susi Kenna. Hand-painted by Mei Kawajiri. Inspired by the Memphis Group.